Below you will find answers to our most frequently asked questions. Feel free to contact us if you don’t see your question here. Metro Ladies Golf Inc. is a membership club that allows you to play golf with a group of ladies at a time you can fit into your busy life. You can take advantage of our extensive offering of 9 and 18-hole games, organized weekly at selected clubs in the region. Members can play golf at any of the pre-arranged tee-times at preferred rates. Plus, you only pay for the games you play! Established in 2013 we have grown to 150 members! Metro Ladies is owned and operated by Sara Wilson a Class A PGA of Canada golf professional with over 22 years of playing and teaching experience. She makes you feel more confident and comfortable on the course so you can play your best. You will be welcomed by our community of women who understand golf is a game and we should have fun learning and playing. What are the differences in memberships? Full Season Membership: Includes one swing clinic plus invitation to all games, events and golf getaways. Game Improvement Membership: Includes 4 week or 5 hours of instruction. These clinics will review all parts of the game – irons, woods, putter, wedges. Also includes invitation to all games, events and golf getaways. Competitive Membership: Includes one swing clinic plus invitation to regular games, events and golf getaways. Also includes an additional rules seminar and closing banquet. You will be enrolled in the 10 -week competitive league schedule and you will be expected to maintain your handicap through Golf Canada. Monthly Membership: Includes invitation to all games, events and golf getaways for the time you are a member. There is no lesson component, but you can purchase clinics and lessons at the discounted price. What is a Competitive Membership? It’s not scary!!! Our competitive membership is open to those ladies who wish to join our 10 – week league program. You are responsible to establish and update your handicap with the Nova Scotia Golf Association. (included in the fee) Each Tuesday evening the ladies will meet for a fun 9 hole competition where we will record the scores, earning points toward the year total. A rules session and closing banquet are also included. As a competitive member you are also invited to all the weekly games that our full season and game improvement members enjoy. How does the scheduling of games work? Once you become a member you will be added to our game data base. We use a scheduling tool – HappyTC that keeps everyone up to date as games and events are added. Members will see a schedule for the upcoming 2-3 weeks. Each week you will receive game invitations via email – simply let us know if you would like to play, 9 or 18 holes, and whether you will require a golf cart or request to play with someone. We encourage our members to play with a variety of ladies, with a variety of skills. There are limits to the number of ladies that can play the games as we are limited in the number of tee times we can get at the club. Therefore, you should only say yes if you are going to make the golf game. You can adjust your schedule up to 2 days in advance. After this time, we will create groups and email out your tee time and contacts for your playing partners. If you are unable to make it, you are responsible to let your playing partners know. You are expected to show up early for your tee time. A no-show fee of $20 will be charged if you fail to make your tee time and haven’t contacted anyone. You are expected to call the club on the day if you have a tee time and can’t make it. Your playing partners are counting on you to show up and play in their group. Members should not rearrange groups to play with different players, or go out early. We don’t want to leave anyone alone on the first tee. What is a typical weekly schedule? What courses do you play? You have 15 days to cancel your membership for full refund. After that time no refunds will be given unless for medical necessity. We believe that open communication is best, send us an email and we would be happy to assist you. How do I sign up to play a game? Once you become a member your email address will be added to our database. Each week you will be emailed a link and be asked to select the games and courses you wish to play. Make your selections and add any comments. We will send you a confirmation email with your tee time 2 days in advance along with a helpful tip. How do I cancel a scheduled game? We understand things pop up – All you need to do is communicate with Metro Ladies Golf Inc. thru email or phone. The golf courses are not responsible for handling our tee times. Plus, we may have ladies on a wait list to play that day. Cancellations of your tee time are accepted 24 hours before your tee time however, those made on the day of play may be subject to a $20 no-show fee. It is important that you communicate with the ladies in your group as well. All you need to do is communicate with Metro Ladies Golf Inc. thru email or phone. Every effort will be made to reschedule your session before November 1st of the same year. Rescheduling or cancellation can happen 24 hours prior to your lesson time without penalty. “No-Shows” will not be refunded. What do I do if inclement weather is forecast? Most area courses remain open for play regardless of weather. However, a determination will be made two hours prior to start of lessons or tee times by Metro Ladies Golf to cancel or postpone. You will be notified via email or text. “No-Shows” may be subject to a fee. When should I arrive at the Course? Arrive no later than 20 minutes before your tee time and check in at the Pro Shop to pay your green fees. While golf groups are pre-determined, if you do not arrive on time you may be put in another group. If you are delayed, let us know and every effort will be made to get you out! Do I need to be a member to take lessons or clinics? No. All clinics and lessons are open to the public. However, as a member you will receive preferred rates on instruction when booked through Metro Ladies Golf. What is the length of the golf season? 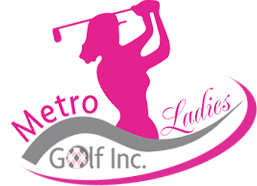 Contact us through email at metroladiesgolf@gmail.com or by phone, (902) 449-2062 and we would be happy to answer your questions.